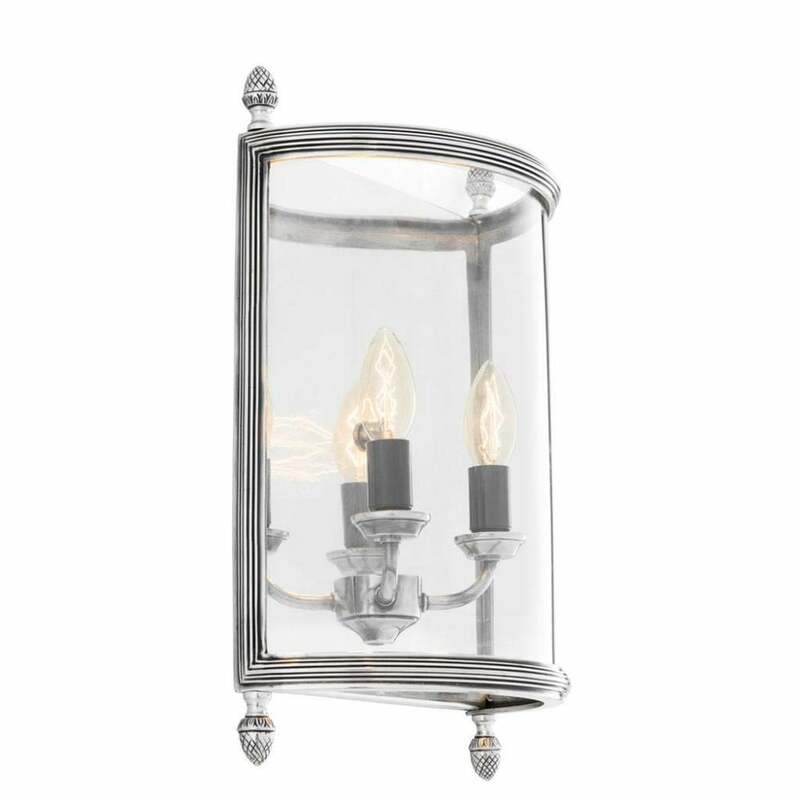 Create a welcoming ambience in an entranceway or hallway with the Lennon M Wall Lamp from Eichholtz. The traditional lantern design will add an elegant touch to any interior scheme whether minimal or rich and opulent. The classic, curved frame is finished in antique silver with detailed edging and ornamental accents. The Lennon Wall Lamp is also available in an on-trend polished brass. The clear glass encases a traditional two prong candle holder design that takes 40 Watt bulbs. Please note: bulbs not included.